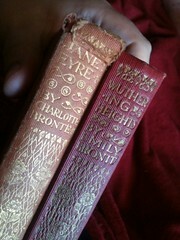 The tale of Heathcliff and Cathy’s ungovernable love and suffering, and the havoc that their passion wreaks on the families of the Earnshaws and the Lintons, shocked the book’s first readers, with even Emily’s sister Charlotte wondering “whether it is right or advisable to create beings like Heathcliff”. I have wanted to read this book for years, since I was at school, but somehow never got around to it until now. I guess for that reason I really wanted to like it, so much. Unfortunately I can’t say I did. I found the story slow to progress and to read (whether this is to do with writing style or because I wasn’t to bothered about reading it I am not sure). I can’t say I really liked any of the characters, maybe Cathy was ok, but I don’t really feel I knew her. Heathcliff was just mean and self serving. Catherine (Jnr) was spoilt, self-centred and seemed to think she was worth more than anyone else. I quite liked Hareton, although he was a bit rough initially I always had the impression that underneath all he was a genuinely nice person. I can kind of see how the writing can be seen as good writing. The descriptions were good, and in fact it was reading the first description of Heathcliff which made me want to read the book (wow it must be almost 10 years ago, and I still remember), although I found the descriptions of the moors a bit lacking. I think if you’ve ever been through the moors though you’ll agree that the atmosphere is quite possibly impossible to but in to words. I did however find that in the last 20-30 pages the story did pick up, it became more plot driven I think (I know I have criticised writing for this in the past, but I didn’t feel it undermined writing quality her). Strangely although I had been looking forward to being able to to read something different I wanted the book to continue when I actually had. Yep–I felt much the same way about this one. I read it years ago and thought I might like it more when I recently re-read it. No such luck.